Ethereum’s Co-founder Vitalik Buterin just revealed precious details about the project’s developers answer to Ether’s scalability and transaction processing problems. The clear wink to George R. R. Martin’s Game of Thrones seems to indicate a prominent come back of Ethereum on the crypto-scene. 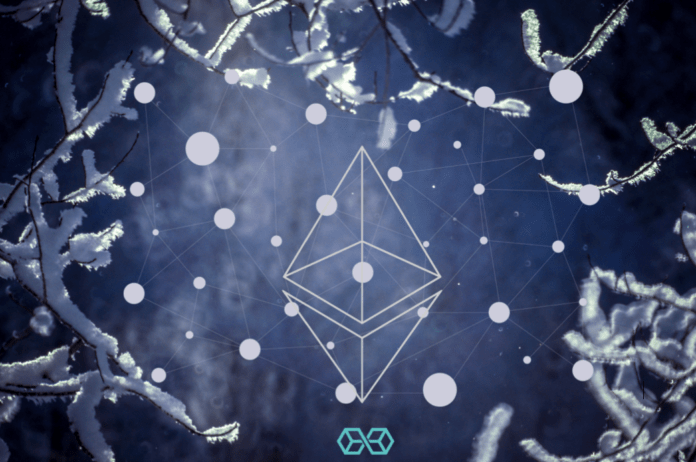 Ether (ETH), the cryptocurrency (or to use Vitalik’s own words, the decentralized app) running on the Ethereum’s public Blockchain has faced multiple critics due to its scalability problems and high transactions fees and processing time. The project’s dev team seems to work hard on providing the answer. The same tweet includes a link to a Github depository containing partial proofs of concept. The picture depicts what looks like “shards” in action, where a simulation of proof of stake beacon chains are interacting with the main Blockchain. Fancy terms? Let’s get some context. Getting a full grasp of the “sharding” mechanism demands great technical savvy, but boils down to dividing Ethereum into different concurrent networks. This is done through the integration of new “proof of stake beacon chains” directly tied to the main Blockchain. Explains Vitalik Buterin in his latest Reddit post; one that is fairly technical, to say the least. How Will This Fix Ethereum’s Scalability Problem? The genius behind the new shards resides in their ability to issue blocks every 2 to 8 seconds. Furthermore, each shard will have as much capacity as the Ethereum Blockchain itself. Knowing that the sharded Blockchain will integrate 100 shards, this will likely eliminate network congestion while achieving great scalability without modifying the transactions block size. There are no further explanations about the exact 100-shards-choice. Ethereum’s community has been longing for this milestone to help curb the transaction times, not to mention the gas fees (transaction fees used as incentives to participating nodes within the Ethereum Blockchain) and eliminate network latency in the most used public Blockchain ever to exist. That being said, the wait is not over yet. When is the new mechanism going live on mainnet? As encountered many times before in a highly speculative market, the effect on Ether (ETH) price was instantaneous. The news pushed the prices up from a low of $ 637 to $ 685 as of press time, meaning an 8% spike in 48 hours. The cryptocurrency seemed helpless to regain momentum and establish higher resistance levels before the news. Chances are, the next days will observe bullish signs to push the prices back to the levels observed in mid-February. This comes at a time where Ether faces regulatory scrutiny in the New World. It looks like US federal regulators are actively investigating the cryptocurrency before deciding whether to classify it a security under US law, as reported by the WSJ.